Social media marketing for your healthcare organization is important, and plays a valuable role in providing exceptional patient care. How so? For starters, social media gives you a platform to reach patients in real time with important health information, news, and behind the scenes work, just to name a few. Perhaps you’ve taken the plunge and are on Facebook, or have played around with YouTube, but have you considered Instagram? If you’re familiar with the platform, you may be thinking about images of beaches, fancy hotels or scrumptious food (fair), but we promise you there’s also a place for the healthcare industry to attract, delight and engage patients. Today, we’re making a case for why you should consider Instagram with the pros, the cons and the ROI. Actively search for and connect with potential patients. With a business account, you have the ability to actively search for, connect and engage with patients or industry partners. This allows you to build your practice and your brand online. Engage and directly reply to followers. Just like other social networks, Instagram allows you to reply to a follower’s comment, or send a private reply. Monitor mentions. If a follower has tagged your practice, or used an appropriate hashtag, you can easily find and respond to the mention. Showcase products and services. Simply put: teach what you know. By taking the time to demonstrate your knowledge and expertise, you establish trust and are able to differentiate yourself from competitors. From MRI machines to X-ray equipment, and preventative measures to in-home therapies, educate your followers about your products, tools and services. Share “behind the scenes” snapshots. Provide your patients with things they don’t normally see: the operating room, a pre-surgery scrub, a teeth cleaning, and so on. Get creative; we guarantee you’ll peak interest and see engagement. Instagram is time consuming. Like any other social media marketing tool, to use Instagram effectively takes time. You will need the manpower (an individual or team) to develop a strategy, come up with content, publish that content, monitor the platform and engage when appropriate. You really need high-resolution photos. Instagram is all about images. While captions have an impact on your success, high-resolution photos is where it’s at. Not only do you need high-res photos, but you should also shoot to post at least three times a week. This takes time, occurs at a cost and can be difficult to achieve. There are numerous ways to monitor your success on Instagram: tracking the number of comments, what hashtags created the most engagement, how many followers you’ve gained, how much traffic your website receives from the platform, etc. 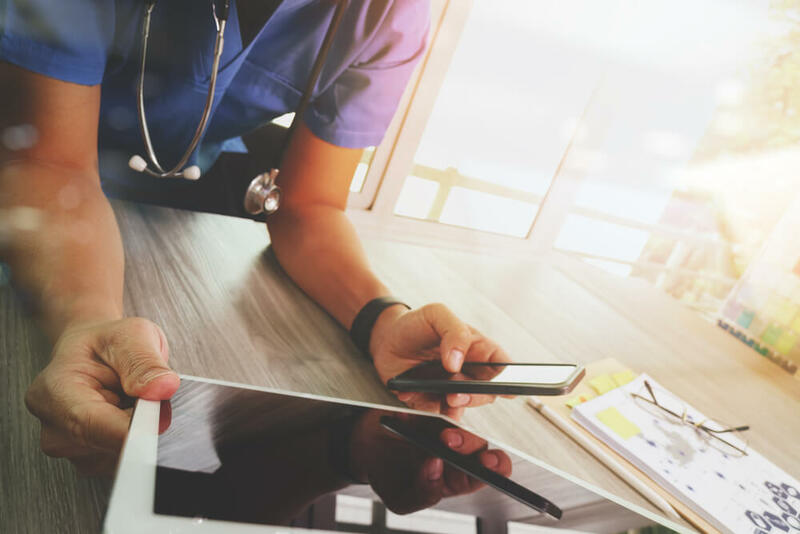 The metrics are important, but we know you’re looking for an answer to this question: is Instagram worth it for your healthcare organization? The quick answer is this: yes, when done right. The platform boasts an impressive 500 million monthly active users, and more than 95 million photos and videos are shared every day. This tells us that Instagram is an important influencer, and that if you want to reach your target audience in a meaningful way this platform is key. Just like any other social media marketing tool, you have to put in the work to see the results. If you can commit to a solid strategy and steady engagement you will see the ROI you’re after. Also keep this in mind: 55% of all Instagram users are 18-29 years old, followed by 30-49 years old at 28%. Your practice may appeal to this age demographic now, but if it doesn’t it will, as these populations will continue to age, need care or seek care. Seize this opportunity now to get online and develop your social brand. Looking for an example or two of how organizations and professionals in the healthcare space are using Instagram? Look no further, we’ve got you covered. Why we like this profile: good use of images, a nice mix of content, profile shows his personality, good engagement. Why we like this profile: beautiful, high-resolution photos, fun recipes, good use of hashtags, good engagement. Why we like this profile: good mix of images (personal and high-res), solid engagement, utilizes hashtags. After looking at the pros, the cons, the ROI and a few examples are you ready to take the leap? If so, your first step is to plan. We promise your biggest mistake is not getting on Instagram; rather it’s getting on Instagram and then not engaging or posting the right content. Need help with your social media marketing strategy? Or maybe you have additional questions about Instagram? Our healthcare marketing experts are here to help! Contact us today for a free consultation.